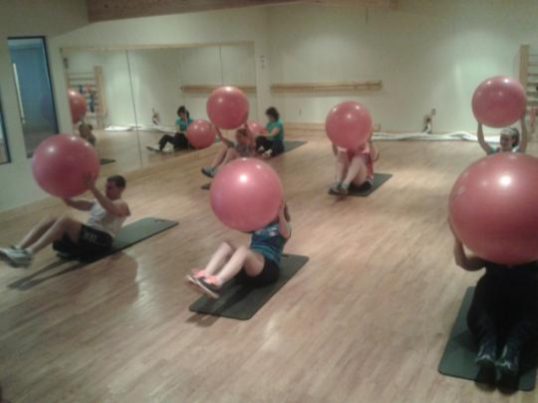 All of our Fitness Classes are FREE with your membership! Or just come for the day for only $10! AMRAP - As Many Rounds/repetitions As Possible in 30 minutes. Burn Zone – Total body workout using weights as well as your own bodyweight to burn some serious calories! Circuit – A variety of stations featuring high repetitions, short rest periods, and a great mixture of cardio and strength training. Early Bird Circuit - A variety of stations featuring high repetitions, short rest periods, and a great mixture of cardio and strength training. Funky Fitness – Upbeat dance and aerobics cardio class. HIIT - High Intensity Interval Training. Intense bursts of cardio and power moves are interspersed with rest periods for maximal results. Morning Madness – Total body workout including a variety of exercises and formats designed to get your day started right! Restorative Yoga - Poses to deeply stretch muscles and connective tissue are held for long periods to improve mobility and relieve stress. Saturday Surprise - Surprise instructors, surprise workouts…keep your workouts fresh and fun! Sculpt & Tone - This total body strength class works all the major muscle groups utilizing free weights and callisthenic exercises. 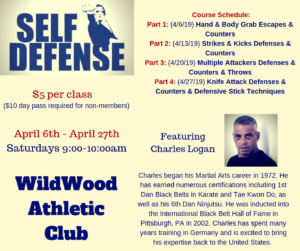 Self Defense - Please see below for details. Senior Fit – A variety of stations working to improve balance, flexibility, strength, and endurance with low impact cardio and light weights. T.N.T. - TEEN FIT! 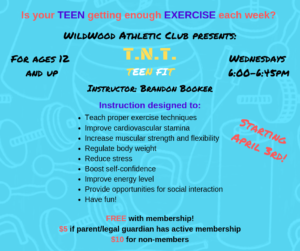 Designed for ages 12-19, this total body workout teaches teens safe techniques and encourages lifelong fitness. Triple Threat – The complete workout: 1/3 cardio, 1/3 strength, 1/3 core. Bring it on. Yoga- This traditional Hatha class features an energizing flow to warm the body followed by deeper stretches and mindful relaxation. Yoga Club- Practice gentle yoga with other members! Yoga Flow- Flow through yoga poses that energize and stretch the entire body for an invigorating and relaxing workout. Sign-up for each class begins one business day before the class. Therefore, Tuesday class sign-up begins Monday, Wednesday class sign-up begins Tuesday, and Saturday class sign-up begins Friday. To sign up, you must TALK to the front desk employee. Please do not leave phone messages or emails as we cannot guarantee these messages will be received in a timely manner. Prior sign-up only reserves a bike until the start of class. If you are not present, your bike will be offered to someone else. If sign-up is full, a waiting list will be available. If at the start of class, a bike becomes available, it will be offered to the next person on the waiting list if that person is present. If you did not sign up for the class but you are present and a bike is available, you may take the class. If you cannot attend a class you signed up for, please call and cancel as soon as possible so that your bike may be offered to someone else. Cycling shoes are not required. However, if you choose to wear cycling shoes, PLEASE DO NOT WALK ON THE FLOORS WITH YOUR CYCLING SHOES ON. Please take your shoes downstairs and change them beside your bike before and after class. Thank you.